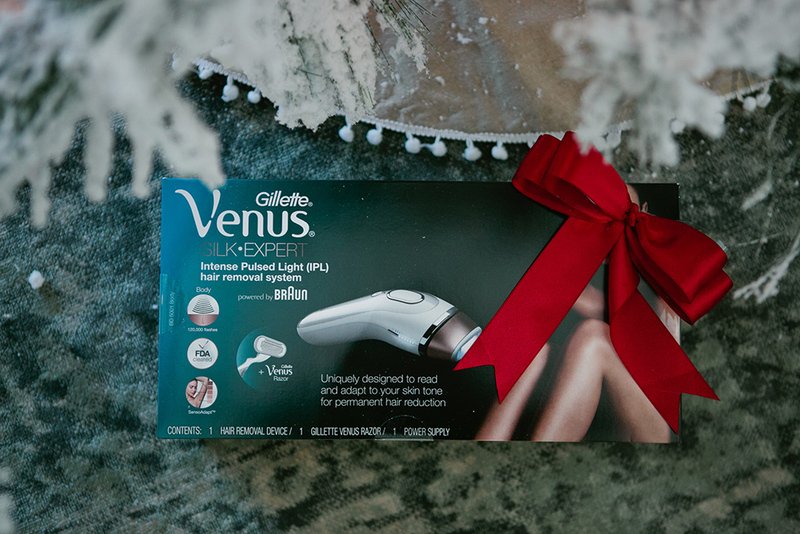 Brought to you by Gillette Venus. 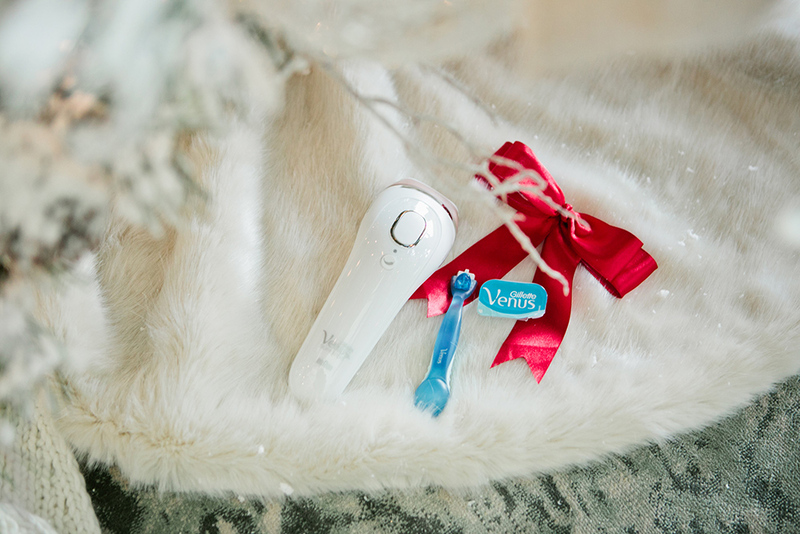 Being a busy mama of two and working full-time, I don’t have much downtime, which is why this is the perfect product for me! I can’t even tell you how simple it is to use. There is NO training required and NO complicated manual color chart process like with other devices. It does all the work for you! 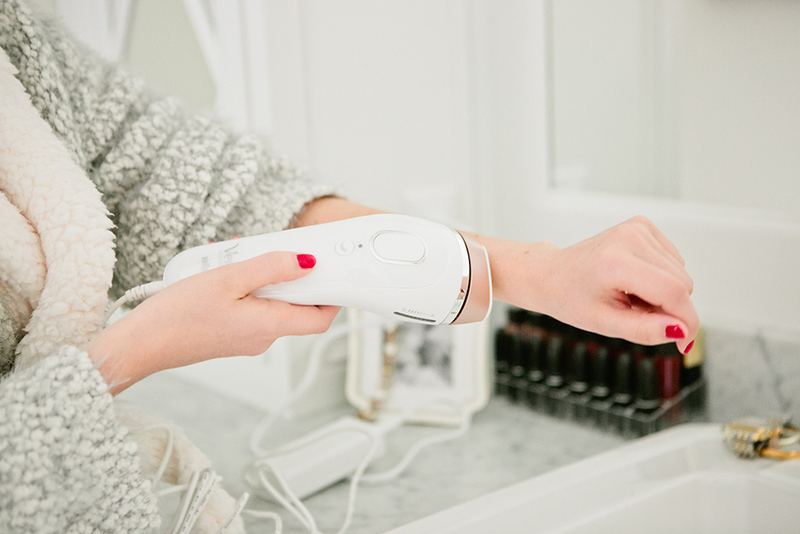 Using a SensoAdapt skin tone sensor it “reads” your skin to deliver just the right amount of light. 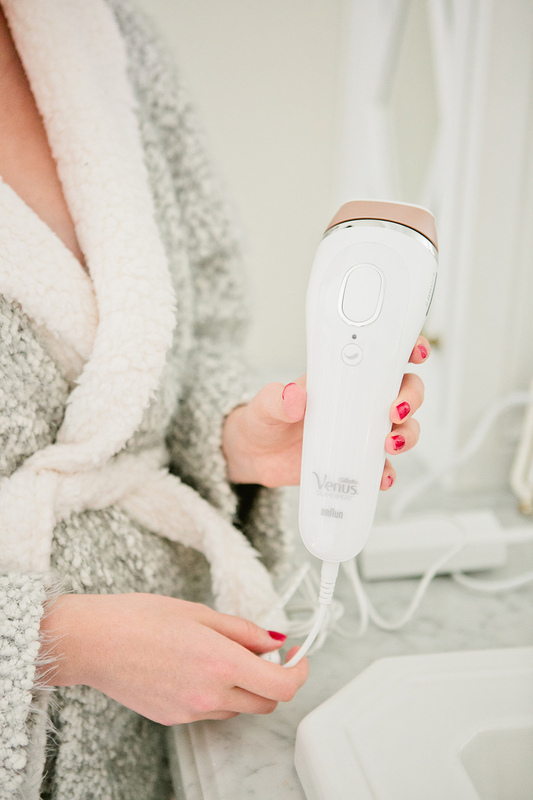 It’s literally as easy as it sounds… plug it in to charge, use once a week on the areas you’re wanting to reduce hair (I’ve been doing my treatments on Sunday mornings while Isla, Jackson, Dash and I watch Christmas movies before church) and within 4-12 weeks you’ll see results. I’ve done about 6 treatments so far, while still shaving regularly, and I’m already noticing my hair is growing slower and weaker. I can’t wait to keep using it because we have a trip to Hawaii planned for the beginning of the year, so I’m feeling more and more confident that I’ll be as ready as I can be for swimsuit attire! 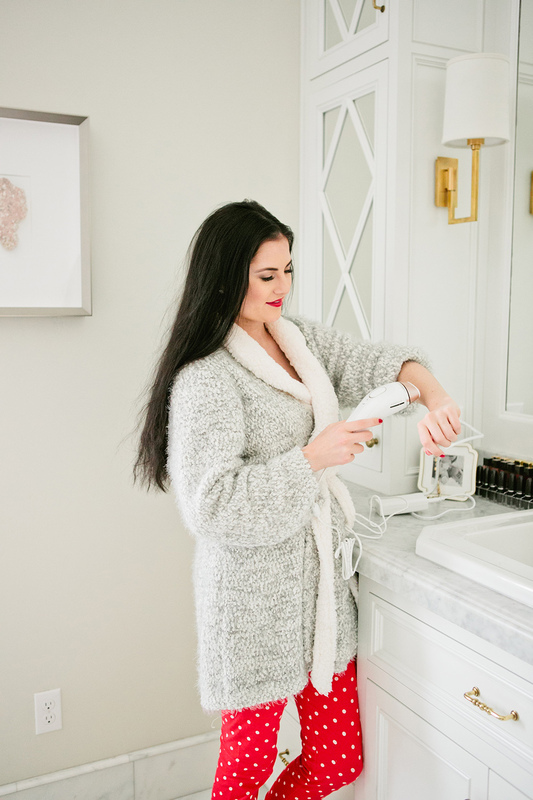 If you’ve been wanting to try an at-home hair removal system, don’t be afraid and don’t keep putting it off like I did! 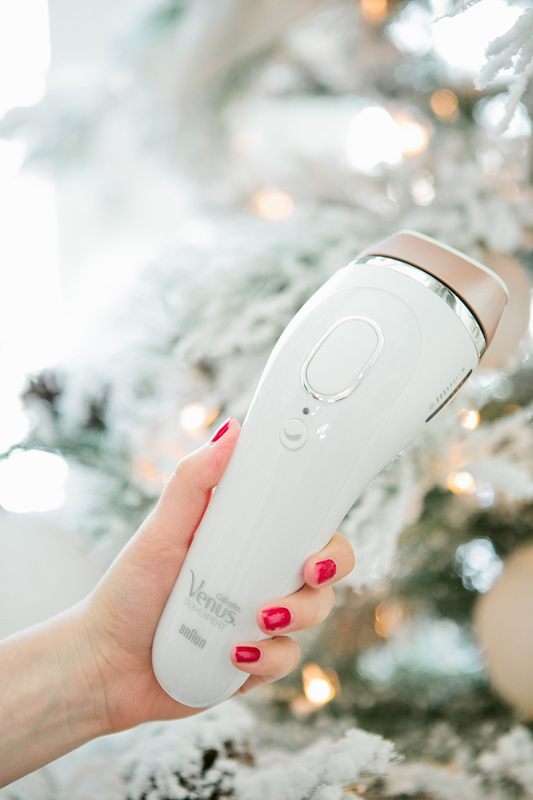 The Silk-Expert IPL is available online and in stores and would make a great Christmas gift! Love your robe, where is it from? 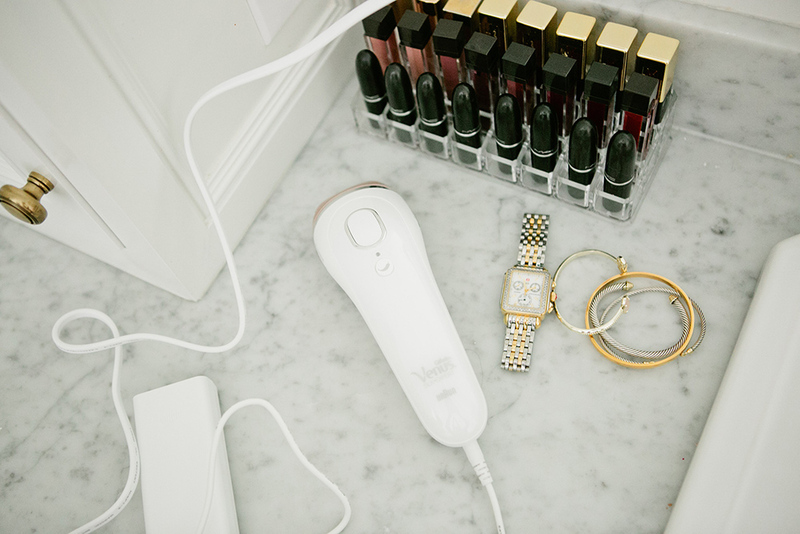 This seems like a very cool and easy to use product, I’ll have to check it out! Thanks for sharing your thoughts and experience with it and I hope you have a great weekend ahead! woow this is great…would be the perfect holiday gift!!! Beautiful pieces! Everything in your collection looks so luxe, love it. Your robe looks so cozy! Where is it from? I love your blog and look forward to your daily emails. Merry Christmas to you and your family! Thanks Jackie!! It’s from Abercrombie & Fitch! I have an at home laser that I don’t use because it hurts (a lot). How’s this one on the pain scale? Honestly, I thought it would hurt but it really doesn’t! At first it isn’t super comfortable, but I’ve gotten used to it! This looks like such a great product. I really hate shaving so this would be perfect! Seems to be a really useful product. I would love to win this! That purse is gorgeous, and I’ve been dying to get one of your pieces! What a perfect present for my birthday on the 22nd or an early Christmas present! I’ve always wondered how those work! Will you do a follow up review after a couple months? Does the hair grow back? So need to get this!! 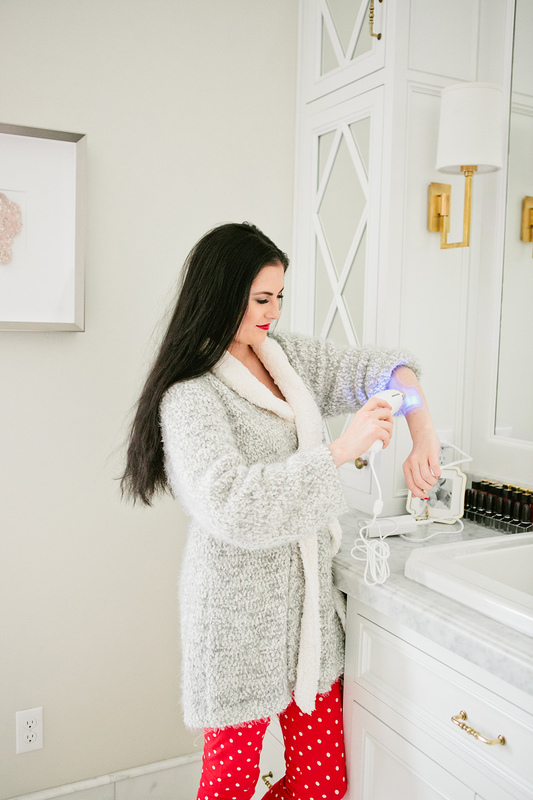 Love your robe! Where is it from? Thanks!! It’s from Abercrombie & Fitch. I know it’s been over a year, but wanted to know your recent thoughts about it! Did you see a huge difference? Was it worth it?